Last year, the Federal Trade Commission sued AT&T over its alleged failure to disclose to subscribers of “unlimited” data plans that their data might actually be throttled. The future of that case is in limbo right now, but today the Federal Communications Commission announced its intention to fine AT&T $100 million over its unlimited data plans. When AT&T was the exclusive launch partner of the Apple iPhone, many subscribers signed on to data plans that put no limits on monthly data use. But when the iPhone became available on other carriers like Verizon, AT&T eventually stopped offering these plans but allowed existing unlimited subscribers to continue under certain conditions. However, users who actually tried to utilize the “unlimited” aspect of their plans found that they faced the threat of having their data speeds heavily throttled by up to 80-90%. Following thousands of complaints from AT&T customers, an investigation concluded that AT&T failed to adequately notify its customers that they could receive speeds slower than the normal network speeds the company advertised. One issue for the FCC is that AT&T didn’t just slow down speeds to normal network rates, but at speeds as slow as 1/20 that of normal speeds, leaving the service effectively unusable. Additionally, throttled customers were penalized for upwards of 12 days out of a month, meaning subscribers were paying full price for unlimited data plans that may not have been available for nearly half a month. The FCC’s enforcement action accuses AT&T of violating the transparency portion of the 2010 Open Internet Order — a section of the rule that wasn’t struck down by the court in 2014. The Open Internet Transparency Rule requires broadband providers to publicly disclose sufficient and accurate information about the providers’ network management practices, performance, and commercial terms of their services. Customers need this information to make informed choices when choosing a data plan, either wireless or fixed. 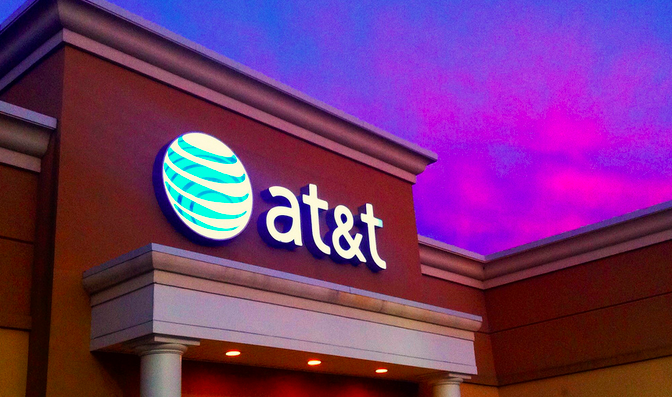 While AT&T has previously characterized throttling of heavy users as reasonable network management, a senior FCC official clarifies that the action is about the company’s alleged failure to disclose the throttling program to its customers, as required by the Transparency Rule. The official acknowledges that AT&T did make disclosures to consumers, but the disclosures were inadequate and misleading. For example, while AT&T told users that some users’ data speeds would be slowed, it did not provide specific limits or tell customers the extent of the throttling. The official says that $100 million is the largest proposed fine ever by the FCC, but notes that this is just a fraction of the revenue AT&T generated from its unlimited customers. The official would not say what talks had occurred, but intimated that the Commission is open to discussing a settlement. AT&T now has 30 days to respond in writing to the fine proposal. The FCC will evaluate this response and then decide on a final forfeiture order.